Today is the day: the first day of school with my munchkins! I am so excited to see what year 7 has in store for me! 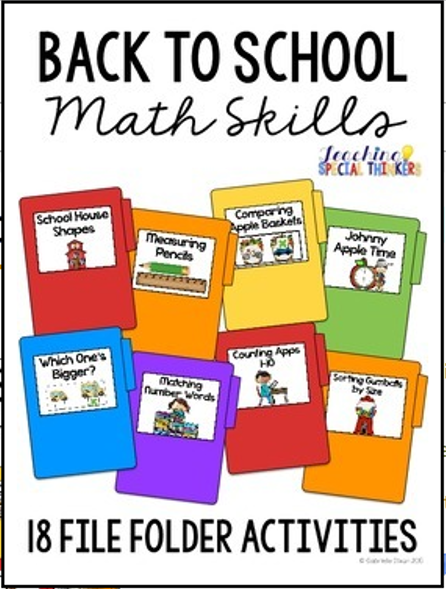 For our final week of the Back to School Block Party, we are talking about our must haves for the new school year from TpT! 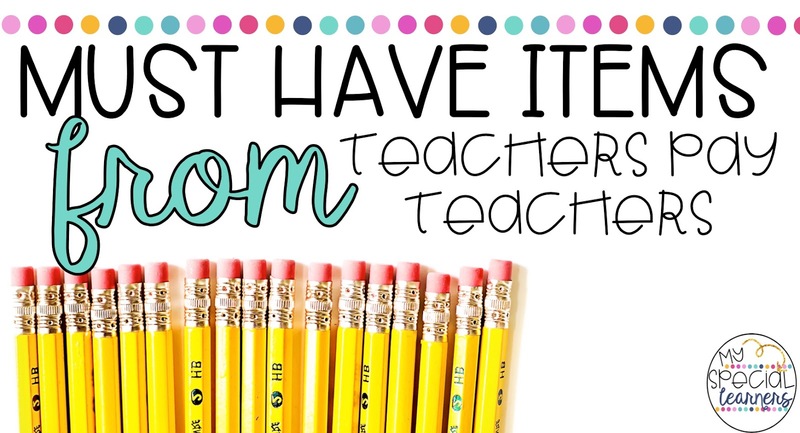 I have to admit, this post was HARD for me to do because there are seriously so many amazing things I use in my classroom each day from TpT. 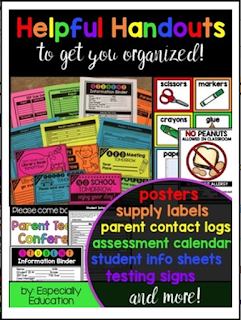 I am so grateful for this website, it has made me such a better teacher and helped me become so much more organized and prepared for the school year! Let's get to it! Here are some of my favorite products I use all the time! 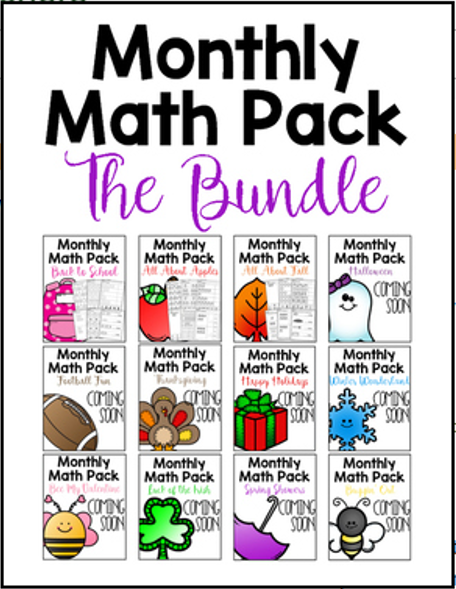 I'm super excited to start using these Monthly Math Packs from my shop this year. 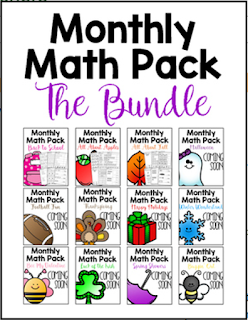 No prep, print in black & white, and a ton of different math skills to be able to differentiate between my kiddos! I'm trying to limit how much prepping I'm doing at the beginning of the year so this will be a HUGE help! 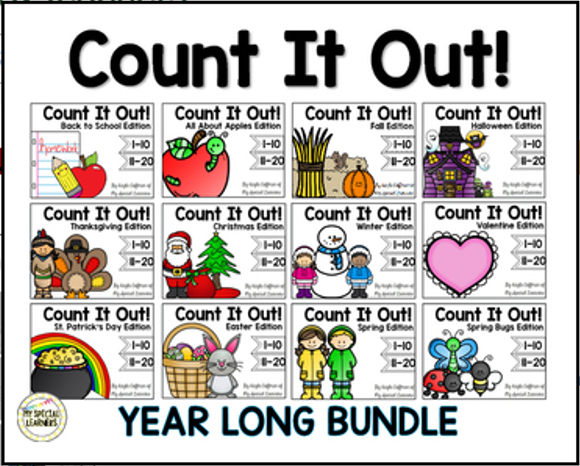 These Count It Out Books from my shop require some prep, but nothing too crazy (plus I have them all prepped from last year)! I LOVE these because the skill doesn't get old as fast when you switch it up all the time with new themes! My students loved them last year and it definitely helped us avoid task burnout! 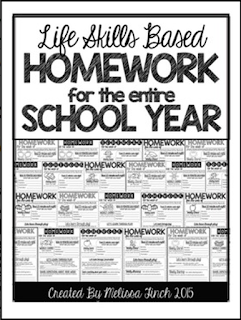 This time saving, WONDERFUL Life Skills Based Homework for the Entire Year from Melissa at Autism Adventures! I hate doing homework but this is seriously the best way to do it. It's life skills based and gets the family interacting as a whole! 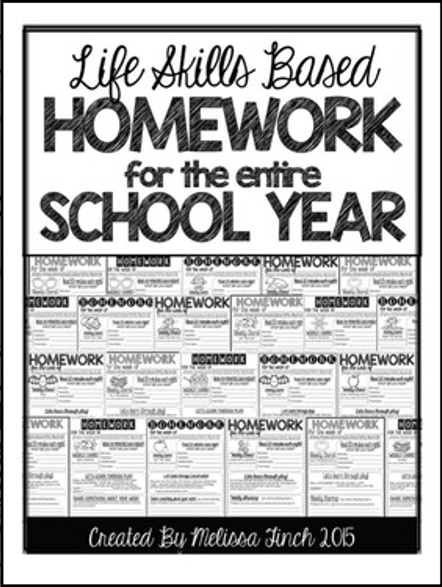 Seriously, if you struggle with homework, check this one out!! Do you cook with your kiddos? Do you struggle with doing cooking activities because you don't have a full kitchen?! Well look no further because this Fun Food Friday Recipe Pack from Stephanie at Mrs. D's Corner has 35 recipes that are visual and NO BAKE! That's right, no stove needed! All you need is a microwave and a few kitchen utensils! Such a bargain and I'm super excited to use it with my guys this year!! 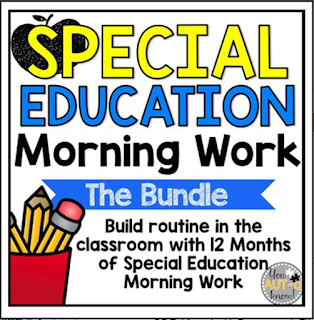 Another product that is PERFECT for beginning of the school year are these beautiful Helpful Handouts for Special Education from Michaela at Especially Education. There is so much goodness in this pack and I can't wait to get all of my reminder forms for the year printed on pretty Astrobrights paper this week!! In the past I would just write a little note on my student's home notes but half the time the parents wouldn't even see it. They won't miss these bright forms being sent home this year! I am going to LOVE using these 'WH' Question Flashcards from Julie at Superheroes in SPED with my students this year! 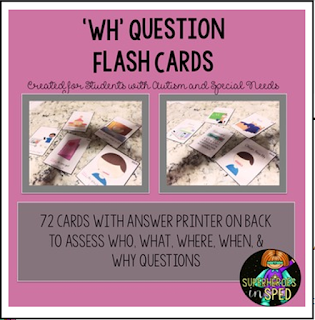 A super easy prep and we will be able to practice those tough 'wh' questions for years to come! This next one is going to be SUCH a timesaver! 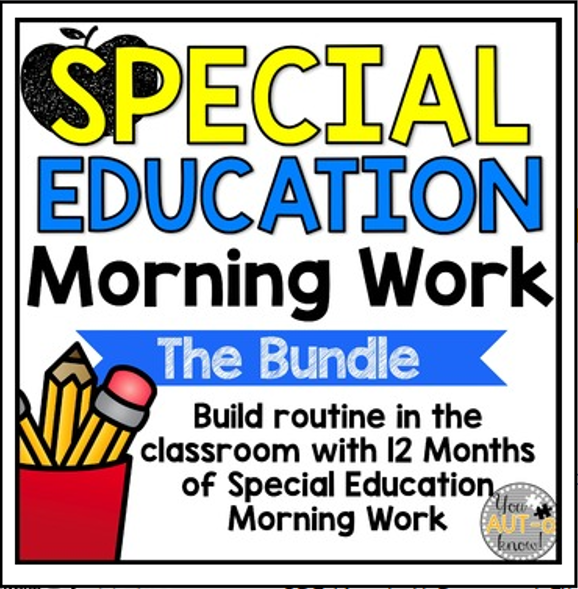 The Special Education Morning Work for the Year Bundle from Erin at You Aut-a Know is going to be a morning routine for my kiddos this year! I love that I can print it all off for the month and not have to worry about ANYTHING! We have enough to laminate, velcro, cut, and prep! 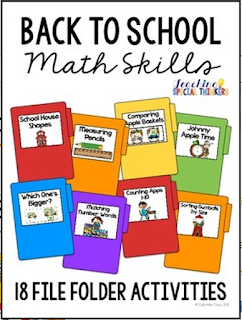 Y'all know how obsessed I am with file folders so I'm super excited to use these pretty Back to School Math File Folders from Gabrielle at Teaching Special Thinkers! She has some other file folders for the rest of the year that I'm definitely eyeing as well! 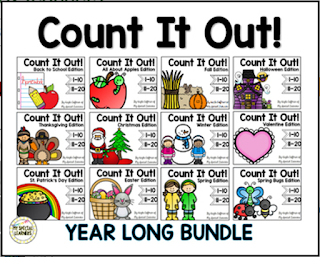 I'd love to hear what some of YOUR favorite TpT resources are!! 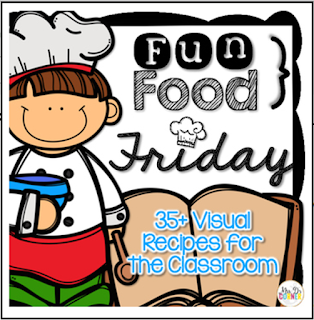 Click on through to read about some of Stephanie's favorite resources! !